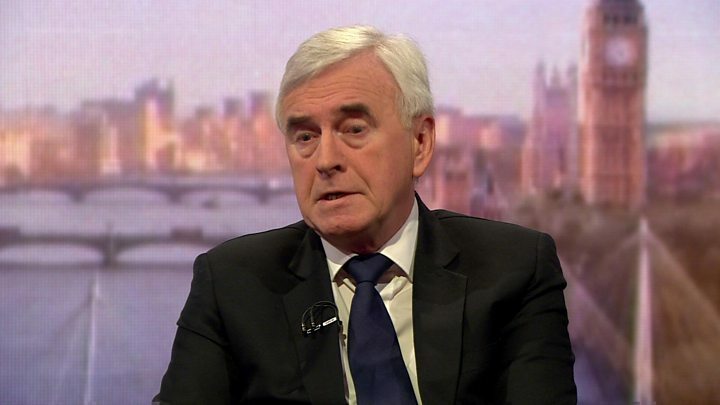 Shadow chancellor John McDonnell has said the Labour Party is “dealing with” any issues that might cause a split. Rumours continue to circulate that some MPs are close to resigning the whip. But Mr McDonnell insisted the party was “holding together on Brexit” and would be “ruthless” on claims of anti-Semitism that have dogged Labour. On Sunday, a former Labour vice-chairman said he intended to leave the party over what he saw as a repeated failure to tackle hostility to Jews. Last week, some MPs criticised the party leadership’s Brexit stance. Treasury spokesman Clive Lewis warned of “severe” ramifications if the party was seen to facilitate a “Tory Brexit”, while ex-shadow chancellor Chris Leslie said it was “heartbreaking” Labour was not united in arguing against leaving the EU. On Sunday, Labour members on social media began circulating a graphic reading: “I pledge to work for the achievement of a Labour-led government, under whatever leadership members elect. Mr McDonnell told the BBC’s Andrew Marr Show he had signed the pledge, arguing it reflected what he had said throughout his membership – even when he had his “strongest disagreements” with Tony Blair. When put to him that the timing was “just a little bit provocative”, he replied: “No, not at all. 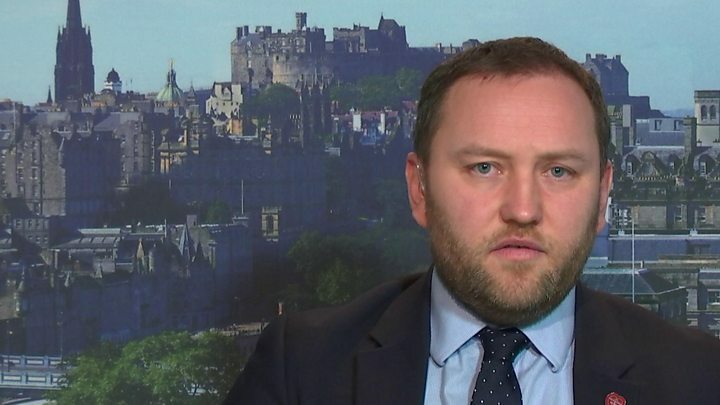 However, Edinburgh South MP Ian Murray said he would not sign the “unnecessary” pledge, adding that his loyalty to the party “should never be in question”. “These kind of pledge things are a little bit ridiculous,” he told the BBC. On Friday, Mr Murray said MPs were “being pushed to the brink” with both the party’s Brexit stance and its handling of anti-Semitism claims. However, Mr McDonnell, in answering suggestions that you could “hear the creaking of a coming split” in the party, said: “I really don’t see why there’s a need to. Mr McDonnell said the effect would be similar to the SDP breakaway in 1981 which split Labour’s vote, cost it seats and “installed Mrs Thatcher in power for a decade”. “I don’t think any of the people who’ve even been mentioned about this split would want that,” he said. Mr McDonnell accepted Labour had not acted “fast enough” on claims of anti-Semitism but said it had doubled the staff dealing with the issue and brought in a senior lawyer. “Where it’s intolerable, where it’s repeated… not only should we kick them out of the party, there should be life bans as well,” he said.